Family movie night is something we look forward to each week, however sometimes it can be difficult to find a movie that the whole family will enjoy. From the very first moment I saw previews, I knew I wanted to see Journey 2: The Mysterious Island with my family! Not only was the scenery gorgeous, so was the main actor! Yep, that's right --- I have a crush on The Rock! Journey 2: The Mysterious Island was amazing! The story was fun, exciting, and heartwarming! It proved that often times some of the greatest things are right in front of us and we just don't know it! The Mysterious Island is my fantasy vacation destination! Waterfalls everywhere, beautiful flowers, beautiful butterflies, and so much more. The mini elephant was the cutest thing I've ever seen, and my daughter now wants one for a pet! The egg shell scene was a little yucky, but very funny! 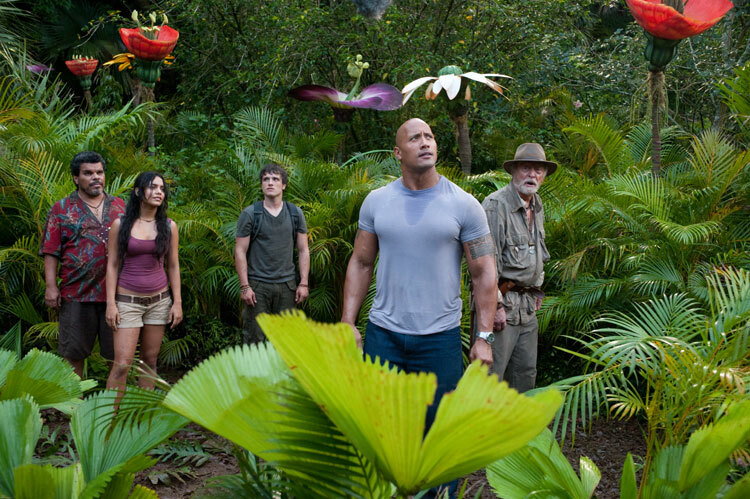 I loved that Journey 2: The Mysterious Island is a movie that the entire family can enjoy together. Nothing inappropriate, perfect for boys and girls, and adults too. I'd say that it is the perfect family movie! The follow-up to the 2008 hit! The new journey begins when young adventurer Sean (Josh Hutcherson) receives a coded distress signal from a mysterious island where no island should exist—a place of strange life forms, mountains of gold, deadly volcanoes, and more than one astonishing secret. Unable to stop him from going, Sean’s new stepfather (Dwayne Johnson) joins the quest. Together with a helicopter pilot (Luis Guzman) and his beautiful, strong-willed daughter (Vanessa Hudgens), they set out to find the island, rescue its lone inhabitant and escape before seismic shockwaves force the island under the sea and bury its treasures forever. 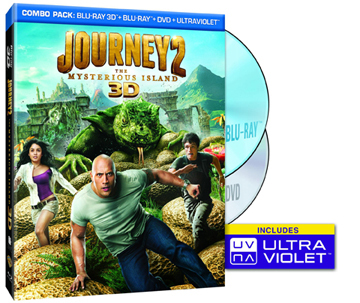 Journey 2: The Mysterious Island - Own it on Blu-ray Combo Pack or Digital Download 6/5! Be sure to visit my sidebar and enter the Journey 2: The Mysterious Island giveaway for you chance to win your very own copy of this great movie! This sounds like a great family-friendly movie - perfect for a night in!